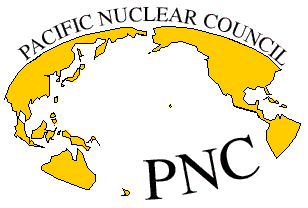 The Pacific Nuclear Council is pleased to post important scientific information about how low doses and low dose rates of radiation affect our health and the health of all living things. Current radiation protection regulations and guidelines assume that any increase in radiation exposure above the background level causes an increase in cancer mortality and an increase in congenital malformations. However, considerable evidence has been presented that living organisms react to a small increase in radiation in a very natural way; i.e., they exhibit an adaptive response. Several of these presentations showed that organisms adapt by intensifying their normal activity of preventing, repairing and removing cell damage. In this way, they over-compensate for the disruption, leading to improved health overall. Evidence of such stimulation has been apparent for more than a century, but there was no biological mechanism to explain this phenomenon. Advances in biology during the past decade, as described in several of the papers in these sessions, have provided the understanding. It is important to share this information about these adaptive effects of radiation on health because the current trend toward further reductions in allowable dose may be overly conservative based on these results. An overly conservative approach to radiation protection and estimation of health effects contributes to what one might call “Radiation phobia” in the public at large, which is one of the greatest barriers to the increased use of nuclear technologies in energy, medical and many other very important applications. DOE Program… Developing a Scientific Basis for Responses to Low-Dose Exposures: Impact on Dose-Response Relationships Radiobiological Basis of Low Dose Irradiation in Prevention and Therapy of Cancer The Therapeutic Use of Radon: A Biomedical Treatment in Europe; An 'Alternative' Remedy in the United States Effects of Cobalt-60 Exposure on Health of Taiwan Residents Suggest New Approach Needed in Radiation Protection What Becomes of Nuclear Risk Assessment in Light of Radiation Hormesis?